The range of settings in this novel is both impressive and sumptuous; one gets the feeling the author must have explored in the Arctic, crossed the Indian Ocean, travelled the dusty roads of Uttar Pradesh in northern India and bathed on the imported-sand beaches of sunny Oman, as well as sweated in the London Underground in rush hour. Storylines weave back and forth between 1920s polar explorers and piracy on the 21st Century seas; between the Second World War and post-Cold War multinational trade; between ruthless Indian street gangs and stuffy old-fashioned English ex-pats. Given the difficulty in finding a single strong human protagonist in this novel, the locations serve almost as the stars of the story, the personalities, the features that bring coherence to the events flitting from chapter to chapter. I don’t mean to imply that this is a piece of “adventure tourism”; most of the events set in exotic locations fit there, feel as though they could not have taken place anywhere else (even when they could), and cultural research is more in evidence than mere “local colour”. My suggestion twice above that there is no single protagonist should not be taken to mean that there are no strong characters in this book. On the contrary, there are several protagonists who serve as point-of-view characters throughout the novel, and a few antagonists whose eyes and thoughts we are privy to; all are presented elegantly and skilfully by the author, such that the former at least effortlessly win our engaged sympathy. It is just that there are so many such characters over the course of this novel’s 340 pages, some of whom we care for and invest in only to have them disappear or die within a few pages, who are often at cross-purposes to one another or have no obvious connection between them, that very little of the reader’s time is spent agonising over what will happen next, hoping or fearing for the hero’s fate. Those characters with whom we do stay for long enough, or to whom we return several times and develop a rapport with, almost inevitably suffer such an outrageously unpleasant fate that rather than being overwhelmed by the bathos of their suffering, we are alienated and pulled out of our engagement with the text by their utter abjection, torment and humiliation. There are a couple of individuals who are interesting and admirable in their own right--or who at least start out as strong and sympathetic characters. Vibeke Dunfjeld, daughter of a Norwegian professor of physics and (unrequited) love interest both of a younger physicist and a shipping entrepreneur (who, although not especially likable, is himself one of our more long-lasting protagonists), is an independent young woman, a mountaineer and naturalist, keen observer of nature and lover of the fierce Scandinavian outdoors. Although in her youth she needs the permission and protection of the men around her, as she breaks out on her own she survives the wilderness better than any of the male characters who try it, and is the only character to survive the war without fleeing the country or collaborating with the occupying Nazis. Ironically it is in post-war Norway that an independent woman and single mother is not tolerated, and her treatment by the state is one of the more shocking moments in this book. Roopa Vish, living in northern India three-quarters of a century after Vibeke’s story begins in Norway, is the daughter of a hard-boiled detective famous for tracking down a notorious serial killer; also a police officer, she is determined to follow her father’s example and take down her target whatever the personal cost. And the cost for her is high: she is single-minded to the extent of alienating her friends and family; her career is destroyed, her beauty, her health, her self-respect. She suffers some of the most sadistic and voyeuristic punishments this novel can dole out, and by the end she has so lost all sense of proportion in the pursuit of a single criminal that the reader can barely even pity her, much less hope that she will ultimately succeed. Other characters, such as the shipping magnate who runs the most profitable trading empire in the world, the twin boys who become a Jinn after a train crash, the counterfeiter who outlives his pirate masters, the former spy and industrial adviser who tracks a mysterious shipping container around the world, fare somewhat better, but they are all either so distant or so inscrutable that they are barely sympathetic characters either. Indeed, one might argue that the individuals are not core to this book at all: the theme that recurs throughout the obscurely intertwined stories is the scientific theory of the constant circulation of liquids, and the discovery that waves do not cross the boundary of liquids of different densities. This theorem founds the discipline of meteorology; it is the idea that saves Vibeke’s classical physicist father from complete collapse when relativity takes over the academy; it is important to those who try to fly in cold air (an airship accident in the Arctic opens the novel), or sails on or beneath the open sea (sailors, warships, cargo ships and pirates occur throughout several of the stories). Perhaps this theorem is even a metaphor for the clash of cultures that defines many of the crucial moments in the book. 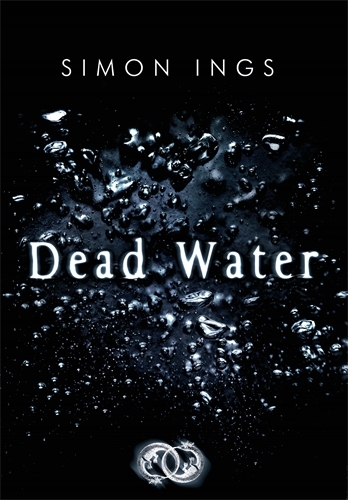 Dead Water is an unflinchingly satirical novel, with convincingly in-depth looks at the corruption of multinational trading conglomerates, the ruthlessness of foreign office dealings, the cynicism of disaster management and security in international waters. Lives are bought and sold, individuals, families, whole communities are weighed against profit, and crushed more heartlessly than sadistically. Ironically, this is kind of the message of the novel as well: the big picture is more important than the characters, so individual (or even collective) human lives are expendable; the reader’s sympathies and sensibilities can not be allowed to get in the way of the story. I enjoyed reading this book, which was powerful, moving, convincing, excruciatingly well-researched, well-paced and often shocking. If it seems that everything I have had to say about it above has been negative or grudging, that is more a virtue of the novel’s cynicism and bleak outlook than it is a failing of the author or his writing.